Media kit (PDF) | Original trade paperback 128 pp ISBN 9781597190169 $15.95 | Ebook ISBN 9781597190510 $5.99 | About the Authors| Hour-long mp3 recording of the authors talking with publisher Peggy Elam, Ph.D. & reading selected poems | 45-minute mp3-recording of Frannie Zellman & Lesleigh J. Owen talking with publisher Peggy Elam, Ph.D. & performing a fat acceptance skit & Lesleigh's poem "Fat Beauty." Info on Fat Poets Speak 2: Living and Loving Fatly is available here. "I'm not usually a huge fan of poetry, but this book is a treasure and a joy. No matter where you are personally on your journey to size acceptance, the beautiful poems in this book will resonate with you. If you are just starting out—you'll see the journey ahead of you and the joys of learning to love and accept yourself; and if you're already there, you'll recognize the pain and joy of the struggle you have passed through. A big plus is each poet's auto-bio in the back. Talented women, looking at being fat from their different viewpoints." 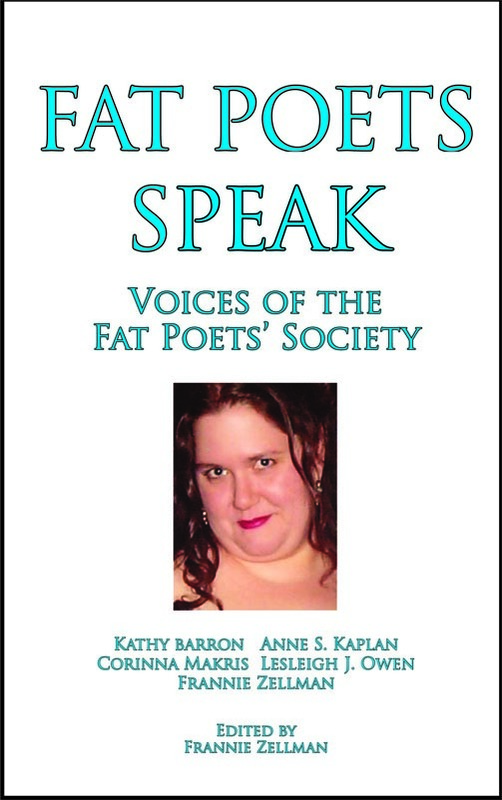 "It is only in recent years that fat poets have begun to stand up and get in the reader's face to celebrate large-size bodies directly in poems such as Maya Angelou's 'Phenomenal Woman' or in the groundbreaking anthology Fat Poets Speak, begun at the Fat Poets' Society Writing Workshop at the 2006 NAAFA convention and anthologized and edited by Frannie Zellman." "These amazing women have bared themselves in order that we might be able to understand the pride of fat women and share in its wonder." You: 'No. Did you find some?'"